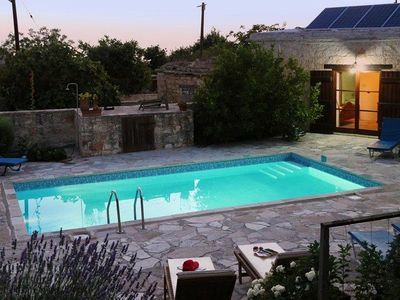 Chilville villa is situated in a quiet location in Kapparis. 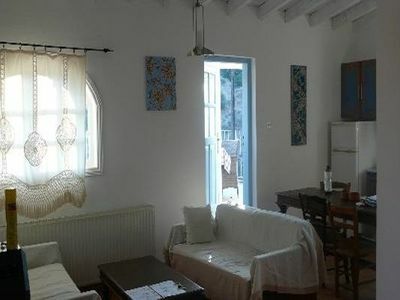 It is well equipped making it ideal for couples or family holidays and accommodates up to 6 guests. 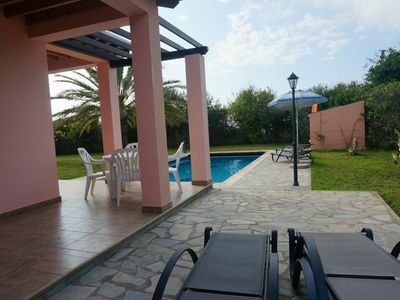 A wooden pergola area at both front and back of the villa offers shade with cushioned chairs and a large dining table, ideal for relaxing day or a BBQ night. 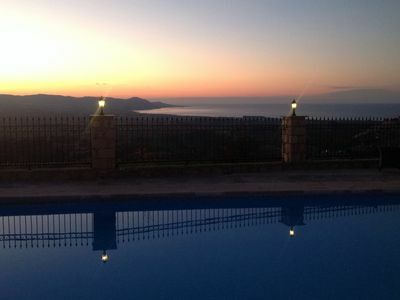 At night relax in the comfortable chairs whilst the glimmer of the pool creates a calming atmosphere. 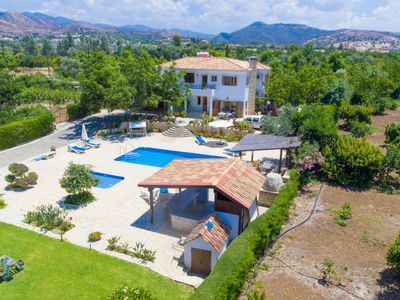 8 sun loungers are available for around the pool, with padded cushions if required, an outdoor shower and traditional BBQ. The private pool is cleaned twice weekly. 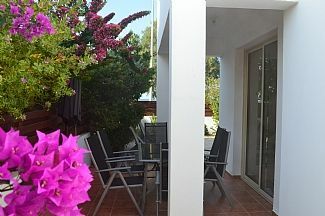 Both bedrooms have airconditioning units and balconies, one overlooking the back garden and the other has pool views. Built in wardrobes are featured in both bedrooms with dressing tables, mirrors, stools and a hair dryer. 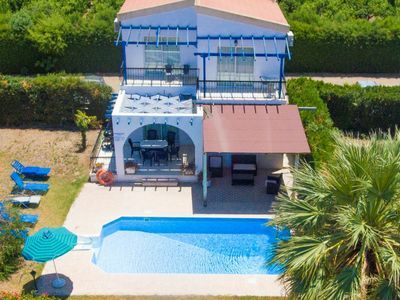 This villa also offers free wifi internet for guests, android TV featuring UK channels, books, dvd’s and games along with inflatable pool toys for you to use. Within short walk to a bus stop, 706 and 301 bus and only a short distance to several beautiful beaches, restaurants, bars and nightlife. Also within 5 minutes drive/bus ride of large supermarkets and main shopping centres. 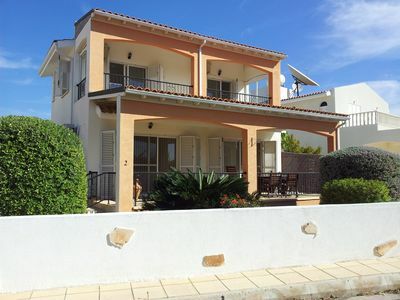 Kapparis is 1.4km away and Firemans beach is 1.8km from the villa. 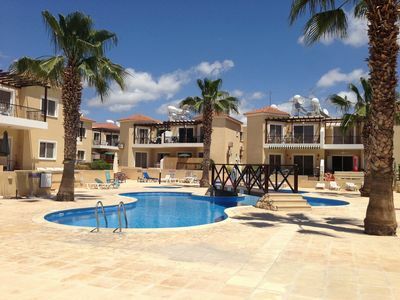 Scuba Diving and watersports are available at several nearby beaches in Kapparis, Pernera, Protaras and Ayia Napa.